In the fast-paced and rapidly changing communications industry, you need an experienced and reliable company that can give you honest and dependable answers to your questions about telephone equipment and telephone systems. We, at C&R TELECOMMUNICATION, INC., understand that communication is the lifeline to a successful business, and it is something that we do not take lightly. The employees of C&R TELECOMMUNICATION, INC. have over Forty-Five years experience in providing Prompt and Superior Service to Communication Users. We are a communications company, specializing in telephone systems, paging systems (PA), voice mail/auto attendant systems, surveillance cameras, installation, cabling, maintenance and repairs. We also specialize in computer cabling and networking. 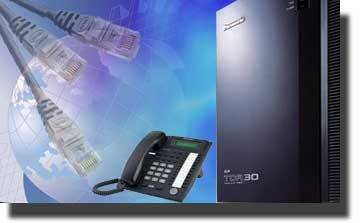 We are capable of doing moves, adds, and changes on many different types of telephone systems. C&R has been in business for over Twenty-Five years. We provide service to companies such as International Trucks Of Houston, The City of Galena Park, The Fiesta Food Mart chain, Fred Loya Insurance, Rodney D Young, Rent A Center, just to name a few locations. C & R Telecommunications, Inc.